When first starting out, there are a few ways to go about finding opportunities for licensing your music. If you have the time, you can do all the legwork yourself by hunting down places that need music, find out who the music supervisors are, get their contact information somehow, build a relationship with them and see if your music might be a fit. Or you can submit your music to publishers who will try to license your music for you. A publisher has lots of contacts and therefore should be able to place your music easier. It’s what they do. Once you have some credits under your belt, you’ll have more credibility as an independent artist and music supervisors will give you more attention than someone who has never had their music used for anything whatsoever. If you do it yourself, however, you can end up making twice as much money because you don’t have to split the royalties with a publisher. It also takes a lot of time and effort and it may take a while to see some success. So let’s take a look at music publishers. Submitting to a music publisher is a good way to get music placed into films and on TV and saves you a lot of legwork. Music publishers are companies who primarily represent songwriters to try to find uses for their songs in various ways. They work directly with music supervisors and production companies, so they have the inside scoop on a lot of projects. Search the web for music publishers that specialize in your style of music. If you’re a hip hop artist, don’t submit to a publisher that specializes in pop/rock or country. My band for example is more of a roots rock, rockabilly, country punk hybrid. So it may be difficult to find a publisher that matches exactly. Therefore, I’d look for publishers that deal in music for Alternative Rock, Rock, Roots Rock, etc. to see what I could find. If you can spend the money, one of the fastest and easiest methods of finding publishers and their contact information is to purchase an industry directory such as the Film & Television Music Guide by Ritch Esra and Stephen Trumbull, which runs about a hundred bucks, but can definitely be worth the time it will save you. A cheaper, but maybe less thorough alternative, is Songwriter’s Market, which has a section for music publishers and you can find it at your local bookstore or library. 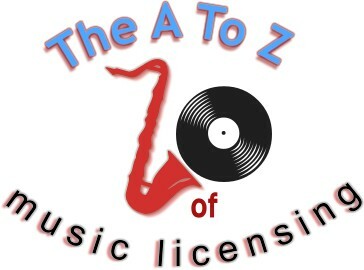 If a publisher decides to license your song(s), they will sign you to a deal, which gives them ownership of the copyright. If they place your music in a film or on tv, they will get 50% of the royalties. This is how they make their money. Not a bad deal if they can place your music someplace that you can’t (50% of something is better than 100% of nothing). If you can contact music supervisors directly, ask them which publishers they like working with or work with the most. This may provide you with a lead on a publishing company you know has success placing lots of songs. Publishers will typically sign you to an exclusive deal. This means that if they give you a publishing deal on a song, you cannot have any other publishing deals with any other publishing companies for that song. This publisher will get their share of the royalties for any placement of this song. Many publishers will try to have the deal for perpetuity (forever), which may not be a bad idea when you’re first starting out. Once you have a few songs placed you might be pickier and only sign publishing deals that are limited to a year or two. Publishers are becoming more open to contracts that are not for perpetuity. So it doesn’t hurt to try and arrange for a deal that gives them 1 to 2 years and is non-exclusive. That way, if they don’t place your song in that period, you can shop it around again. When contacting a music publisher that deals in your genre of music, the easiest and best thing to say when calling them up is, “Hello, what is the best way to submit music to your company?” Be simple and get right to the point. Once you submit music, you can follow up later. One drawback to a publisher is that they may have so many artists and songs they represent that you get lost in the shuffle. It’s always a good idea to follow up with them every 6 – 8 weeks and see if they have anything for you. Stay in front of them (without being pesky) and you greatly increase your chances of them thinking of you when opportunities come along. So now it’s time to start your search. Go find some publishers, contact them and start submitting your music. Best of luck. If You're Ready To Start Making Money By Licensing Your Music And Get Your Music Heard By Millions Of People, click to the right. "How An Out Of Work Musician Managed To Rebuild A Thriving Music Career Using Nothing But The Internet To Generate Thousands Of Dollars In Revenue each Year!" I spent a lot of time putting together a comprehensive guide on the music licensing business and how to get your music used in TV shows and movies. I'd like you to have it. Your email address will not be given to anyone! You can also remove yourself from this list anytime you want. Thank you for your trust.